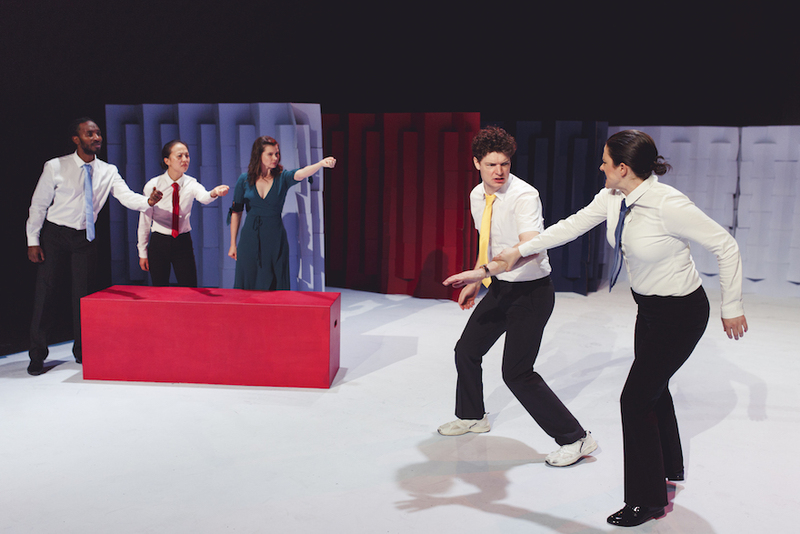 Subversive and witty, playful and provocative: Improvement Club shines a light on the human need for connection and the ravages of ego, anxiety and male privilege. Written and directed by Jeffrey Jay Fowler, it offers some sparkling dialogue and truly memorable scenes, in a rare mix of experimentation and accessibility. Chris Isaacs is compelling as a socially awkward, corporate man-child who starts an “improvement club”, in the quest to make friends and gain power. His flawless performance had me cringing but unable to look away (sort of paralysed by the shock of recognition). He inhabits the evolving protagonist so fully that his transition to a darker, insidious character is seamless. It left me in a tug of war with sympathy and disgust. This is testament not only to Isaacs’s skill as an actor but Fowler’s writing and direction. Chris Isaacs is compelling as a socially awkward, corporate man-child, pictured here with (L-R) Frieda Lee, Arielle Gray and Gita Bezard. Photo: Daniel James Grant. Few things escape a gentle mocking – from our enthusiasm for smashed avocado, Pilates and veganism to body building and sustainable houses. It is the protagonist’s echoing of “men’s rights” rhetoric that really bites, though. There’s no pressure on women, he rants. They just have to look pretty, give birth then put their feet up and swirl glasses of chardonnay. No one wants a white male. The surreal scene involving a lion and a bottle of tomato sauce is delicious. And though the post-apocalyptic, matriarchal utopia scene at the end felt slightly tacked on, I appreciated its subversive intent. 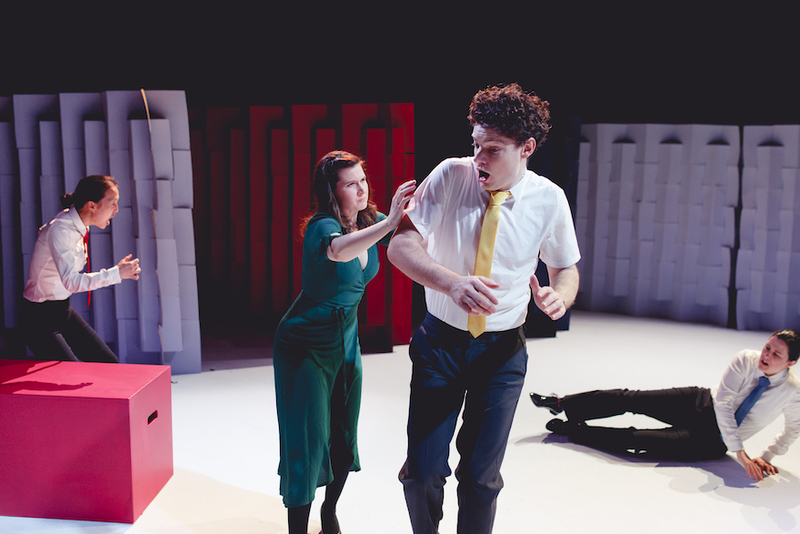 Improvement Club exposes some disturbing narratives about gender and privilege, executed in a fresh, stylish manner that Perth audiences have come to know and love from The Last Great Hunt. 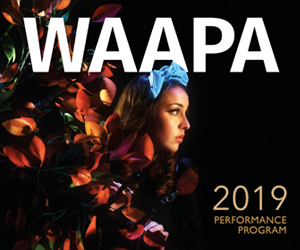 Improvement Club plays the State Theatre Centre of WA until July 7. Read Seesaw’s interview with Jeffrey Jay Fowler. Pictured top: Chris Isaacs and Arielle Gray in ‘Improvement Club’. The cast of ‘Improvement Club’: Mararo Wangai, Frieda Lee, Arielle Gray, Chris Isaacs & Gita Bezard. Photo: Daniel James Grant.